Welcome to the November 2016, edition of the Hillsborough Street Renewal, a monthly e-newsletter keeping businesses and residents along the corridor up to date on Phase II construction news. If you have driven by Rosemary and Shepherd Streets in this past week, you may have noticed that the Soto’s building has been torn down. The next step is to have contaminated soil on that property removed and new soil brought in. 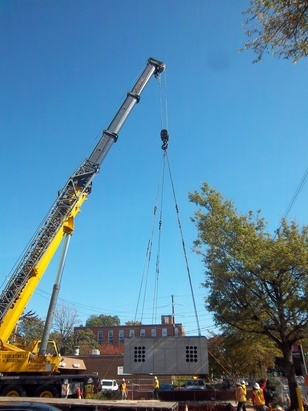 In the past month, Hillsborough Street has seen two large underground electrical vaults installed, one at Rosemary Street and the other one in the parking lot near Gumby’s Pizza, FedEx and Jersey Mikes (the SKS vault). Currently, Carolina Conduit Systems (CCS) is working to tie in the underground duct bank system with these large vaults, and crews are starting to pull the cable through the duct bank in preparation for Duke Energy Progress (DEP) to start their work after the Thanksgiving holiday. On the north side of Hillsborough Street, Duke Energy Progress (DEP) crews completed their work installing new transmission poles to make way for the future roundabouts. Construction crews finished installing and testing the new watermain running from Gardener Street to Concord Street. They installed a new valve in the existing watermain to prepare for connecting the new watermain into the existing watermain at Concord Street. Crews will soon turn their focus to installing connections to businesses and residents along the corridor. Watson Electrical has completed most of their temporary signal work along the corridor. They have completed the work at Rosemary Street, Dixie Trail, and Dan Allen Drive and are now working on the signals at Brooks Avenue. The holiday season may see fewer residents along the corridor, but construction crews will be hard at work. Duke Energy Progress (DEP) is scheduled to begin working along the south side of the corridor installing power lines in the recently installed conduit system. The plan is for two crews to be working on opposite ends of the corridor pulling wires, while three crews outfit the three vaults, at Rosemary Street, Dan Allen Drive and the SKS property. Duke expects this work to be complete by the beginning of February. 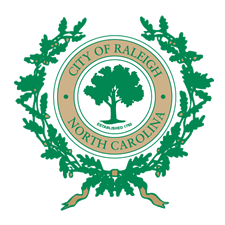 While Duke works on the undergrounding power lines, CCS crews will continue their work on installing the remaining underground electrical conduit and the storm drainage system along the south side of the street from Concord Street to Rosemary Street and from Rosemary Street to Stanhope Avenue. Pipeline crews will continue installing the storm drainage system along the corridor and start to connect the new underground infrastructure to businesses and residents along the corridor. December will once again see some road closures. 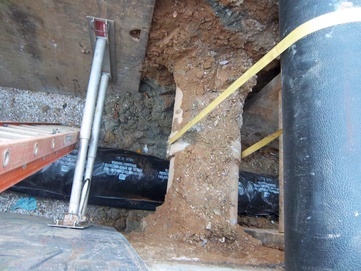 The closures are needed so that contractors can make utility connections to businesses and residents along the corridor. This work requires that contractors run the lines across the street. Trenches will need to be dug and then refilled and paved, which will require some road closures. As always local traffic will still be allowed and businesses are open, so please do not let the construction keep you from your favorite Hillsborough Street business. Businesses, residents and interested parties can be alerted of road closures by way of our traffic updates and news bulletins by subscribing to our Hillsborough Street updates. To subscribe, enter your email in the green box located at the top of each page on the website. Come have a cup of coffee with us on December 13. This is the date of our next Coffee Talk. These events are a great way to voice your concerns about the project and hear firsthand construction news. Once again the management of the Stanhope has graciously offered to host this event, which will start at 10 a.m. on Tuesday, December 12. Hope to see you there.